A recent test on dry pet food has revealed some dangerous facts about the food your dog or cat may be eating. The Consumer Council of Hong Kong recently published the results of testing performed on nearly 40 popular pet foods. The results were a shock to many pet owners. Three popular US food manufacturers, Purina, Hill’s and AvoDerm, all had foods that were found to contain aflatoxin B1. The Hill’s food tested was cat food. Grains such as corn, wheat, and rice, as well as nuts and legumes, are often contaminated with molds, often as a result of poor growing conditions, substandard or extended storage. Molds called aflatoxins can easily grow and produce a very potent carcinogen. Aflatoxins are very stable and even the high temperature processing involved in kibble manufacturing won’t destroy them, leaving little protection for any dog eating that food. Purina confirmed this in a statement to the South China Morning Post. They stated that cancer-causing aflatoxins were an “unavoidable natural contaminant.” AvoDerm stated that they have since removed the corn from its formula as they believed it was the source of the aflatoxins. Corn has become a major source of aflatoxin. Droughts in the US Midwest in recent years have caused a record amount of mold-infested crops amounting to nearly $75 million in insurance claims. In response to this surplus of corn that wasn’t safe for human consumption, the FDA increased the allowable amount of aflatoxin permitted in animal feed. The pet food industry is no stranger to product recalls due to these molds. The earliest documented aflatoxin outbreak dates back to 1974 when hundreds of stray dogs in India died after consuming aflatoxin-contaminated corn. In 1998, 55 dogs died of contaminated corn and in December 2005, over 100 dogs were killed from aflatoxin-contaminated pet food in the US. Testing in the US also shows that apart from the recalls from high levels of aflatoxins, nearly every pet food on the market contains aflatoxins or other mold-related mycotoxins. The animal health and nutrition company Alltech analyzed 965 pet food samples and found 98% of them were contaminated with one or more mycotoxins, while 93% contained two or more mycotoxins. Even grain-free pet foods still contain a high carbohydrate content, so there is the potential for mold spores to contaminate the kibble during storage, especially if it is exposed to a moist environment. 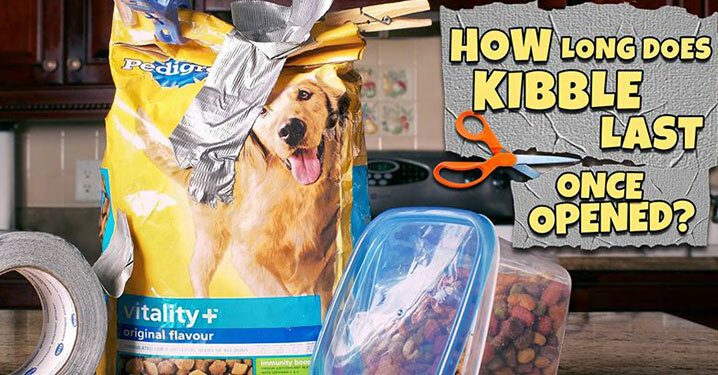 This can also happen in your home if your kibble is stored in a moist basement or an open container. How Do Aflatoxins Make Dogs Sick? Cancer causing aflatoxins primarily affect the liver and dogs who eat 0.5 to 1 mg aflatoxin/kg body weight can die within days. Smaller amounts of aflatoxins, like those found in most pet food samples, can cause sub-acute symptoms including weight loss, lethargy, jaundice and even death. Aflatoxins are also carcinogenic. They bind with DNA and cause cell mutations. Newberne and Wogan (1968) were able to produce malignant tumors in rats with less than 1 mg of aflatoxin per kg of feed. Because eating small amounts of aflatoxins over a period of time will cause cumulative liver damage or cancerous tumors, a very small percentage of affected dogs would be reported. This means that tens of thousands of cases of liver disease and cancer could be caused by contaminated foods every year but the link would never be reported. 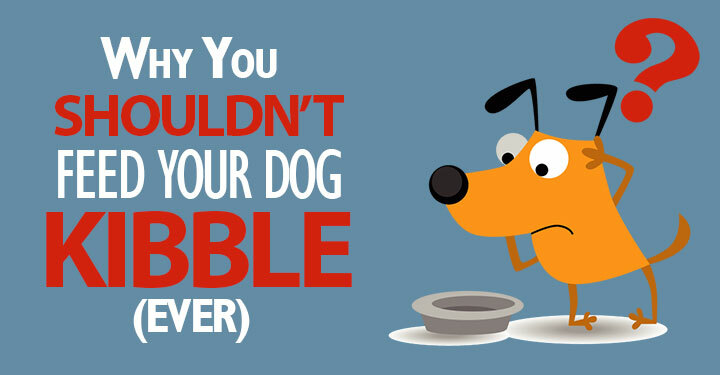 [Related] Skip the kibble and move to raw. Here are 10 rules that make it really easy. The Consumer Council study also found some other alarming trends. Three of the US brands tested (Purina, Iams and Solid Gold) also contained melamine or cyanuric acid. These are the substances that poisoned thousands of pets in 2007. On top of that, processed pet foods also contain other toxic ingredients including heterocyclic amines, acrylamides, and most recently discovered in dry, cooked pet foods, PBDEs (polybrominated diphenyl ethers) – a chemical used as a flame retardant. Learn more about these toxic ingredients. Cancer causing aflatoxins are harming our dogs. Pet owners should avoid any food containing corn, especially as mold infested corns are added to animal feeds. However it’s important to also remember that melamine and other harmful substances will still be in many processed foods, so feeding fresh, whole foods remains the best way to protect your pet from cancer and other diseases that processed pet foods can cause.